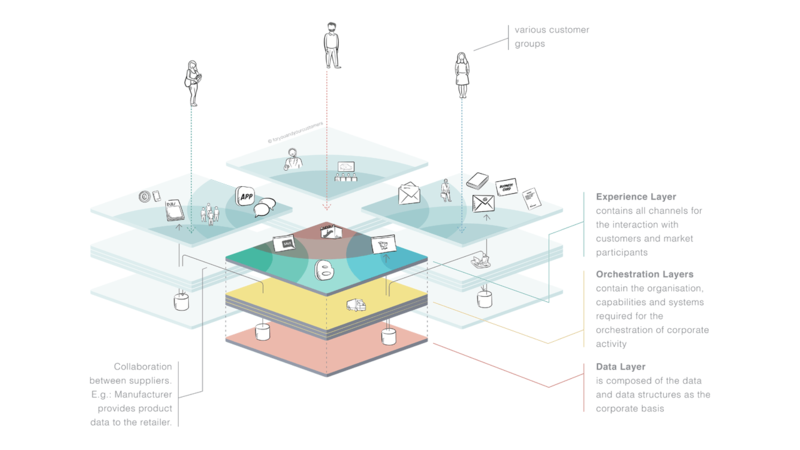 The whitepaper on the “Exploded View” model by for​you​and​your​cu​sto​mers offers companies a practical tool to develop answers to today’s challenges and take an active role in digital change. Described in detail over 40 pages, the model developed by Jonathan Moeller is easy to understand. Like many models, the Exploded View reduces reality to a few elements. Practice shows, that it covers decisive perspectives. Companies today are challenged in many different ways: in dealing with customers, channels, organisation, processes, systems and data. But how can the multi-layered challenges of digitalisation be overcome and the associated opportunities exploited? How to drive sustainable development from the customer experience, the organisational model to technological developments? Existing models and organisational forms could not provide satisfactory answers or solutions to these questions. The Exploded View is different: The model –invented by Jonathan Moeller and described in detail in the free whitepaper – has been used in 27 companies so far. It has been continuously refined and has been proven in practice. The many possible uses of the Exploded View have shown that it can present and explain decisive interrelations for the development of an organisation and that the people involved – from managers to employees with little involvement – receive an overall picture that supports them in digital and analog change. The simplicity and comprehensibility – through a common language for all participants – enables smooth cooperation. It offers an overview in order to recognise the larger contexts and to discover discrepancies. The broad applicability through several perspectives leads to better integrated results. The continuity allows everyone to work together: From the customer to the data, all relevant areas are taken into account. The toolbox reduces risk and increases efficiency and speed. The visualisation allows the challenges and tasks to be named. The attractiveness attracts the previously uninvolved and increases the involvement of all participants. The six levels of the Exploded View enable companies, their markets and customers to comprehensively and surprisingly easily map, analyse and develop potential for improvement. 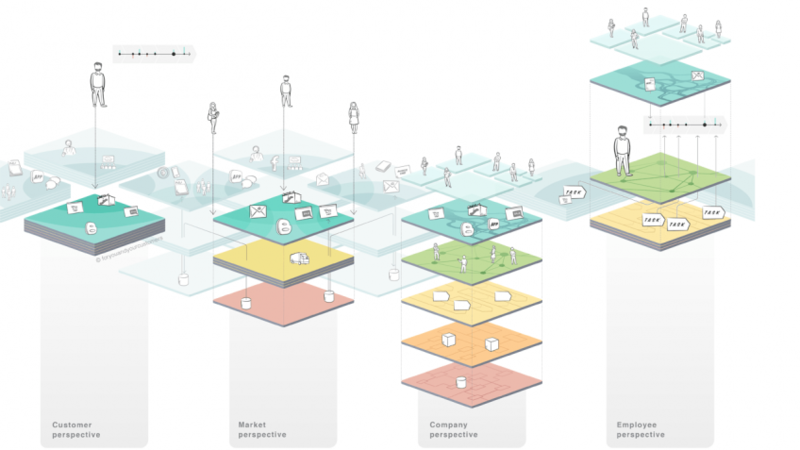 In addition, the model offers its users different perspectives (or views) depending on their needs. We present four of them in the whitepaper. 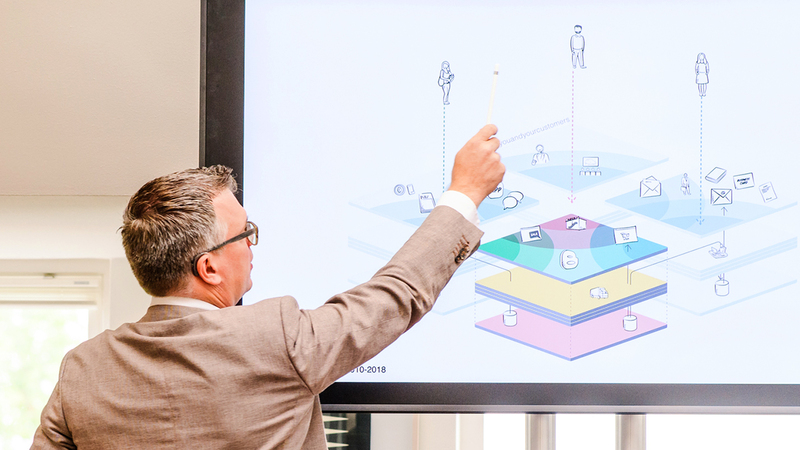 Each one provides a different view of the elements and mechanisms of digitalisation, be it the customer, the company and its service providers, the market or the employees. 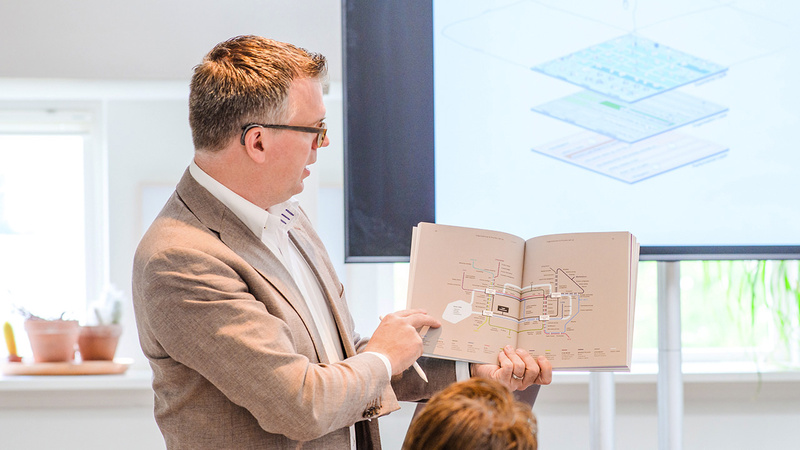 Just as the architect and builder develop the idea of a building and plan its implementation by hundreds of people involved, you too can now work out your answer to digitalisation and successfully implement the large and small activities in your company.